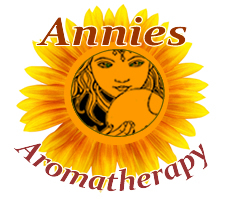 Preparation Methods & Dosage :Raspberry is most often taken in teas and liquid extracts. Raspberry Side Effects: The traditional use of raspberry is to facilitate childbirth. 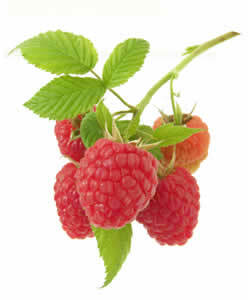 Never use raspberry leaves that are not completely dry, they temporarily develop toxins that can cause nausea. Flowers: Royal purple or bluish pink, showy, fragrant, 1 to 2 in. broad, loosely clustered at top of stem. Calyx sticky-hairy, deeply 5-parted, with long, pointed tips; corolla of 5 rounded petals; stamens and pistils very numerous. Stem: 8 to 5 ft. high, erect, branched, shrubby, bristly, not prickly. Leaves: Alternate, peti-oled, 3 to 5 lobed, middle lobe largest, and all pointed; saw-edged lower leaves immense. Fruit: A depressed red berry, scarcely edible. Preferred Habitat: Rocky woods, dells, shady roadsides. Flowering Season: June - August. Distribution: Northern Canada south to Georgia, westward to Michigan and Tennessee. Purple flowering Virginia Raspberry, Rubus odoratus. To be an unappreciated, unloved relative of the exquisite wild rose, with which this flower is so often likened, must be a similar misfortune to being the untalented son of a great man, or the unhappy author of a successful first book never equalled in later attempts. But where the bright blossoms of the Virginia raspberry burst forth above the roadside tangle and shady woodland dells, even those who despise magenta see beauty in them where abundant green tones all discordant notes into harmony. Purple, as we of to-day understand the color, the flower is not; but rather the purple of ancient Orientals. On cool, cloudy days the petals are a deep rose that fades into bluish pink when the sun is hot. Related Species North American wild raspberry, Rubus strigostts one of the most common indigenous species found throughout North America along roadsides and pastures. 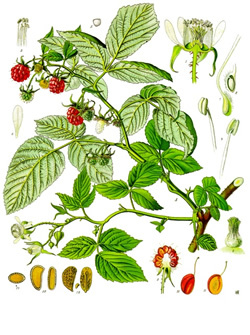 All species of raspberry are medicinally useful, red or black.